This workshop is for you if you have solid shamanic journey experience and would like to take your skills to the next level. The course offers advanced shamanic techniques and initiations, which will give you more power to make positive change happen in your life. Sometimes when you are seeking to transform your life - or certain aspects of it - you may find that some things come easily, whereas other aspects seem to be blocked and difficult. This may feel as if you were turning in a circle, hitting the same sore spot or blockage again and again. The techniques in this workshop are targeted at cutting through these barriers and helping you create self-confidence, trust, motivation and power for change. Journey work to align your goals with your life purpose - this is the driver of change. Discover and heal the barriers and blockages that might get in your way. Experience advanced shamanic initiations that create transformation power and help you cut through blockages. Find your specific way of maintaining inner power in the long-term to make change sustainable. Get to know basic ways of power transfer to help others step into their power as well. We will be working with power-song, power-dance, and power-words. Time: 10.00am to ca. 6.00pm. Sign up: You will have to sign up by 8 May 2019. 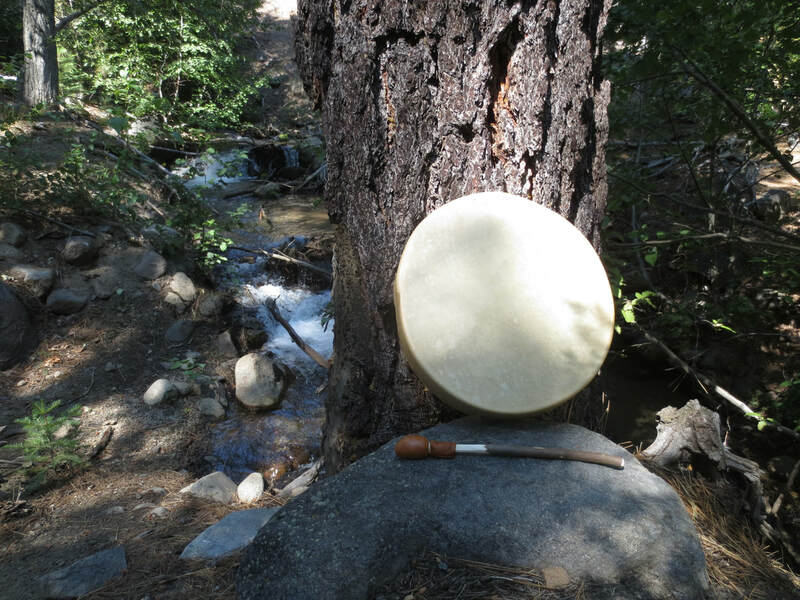 Prework/skills required: Solid shamanic journey skills and experience. Must have attended my basic workshop or similar. Learning shamanic skills and walking the path of the Medicine Wheel will give you direct access to the wisdom of the universe, the sacred aspects in everything and the essence in yourself. These practices will develop your ability to find guidance, healing and transformation power in your unique way. For the advanced workshops in this area, you must have good shamanic journey skills and a solid relationship to at least one power animal or spirit guide. You can gain these skills in the basic workshop described below, or you can talk to me about other pre-work you did.